DENVER--(BUSINESS WIRE)--Western Union (NYSE: WU), a leader in cross-border, cross-currency money movement, announces an alliance with TerraPay to enable mobile wallet and bank account payout. 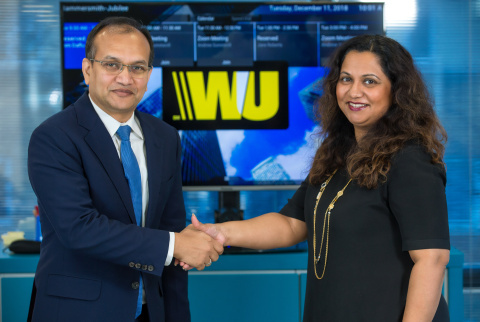 The alliance further expands upon Western Union’s account payout network for sending remittances directly into customers’ mobile wallets across Europe, Africa, Asia and Latin America. TerraPay’s low value payments network connects financial instruments internationally. The company’s interoperability engine enables customers to send and receive transactions across diverse payment instruments and platforms – enabling mobile wallets in international, regional and domestic markets. Alliance between Western Union and TerraPay expands the ability to send remittances directly into customers' mobile wallets.